Taking place from 16th May, the Home Builder’s Federation (HBF) is running New Homes Week working with many of the UKs leading developers to highlight the advantages of buying new. Not only are new homes being created to beat the housing shortage but they are also significantly more cost effective, with the HBF finding that new build homes are at least 50 per cent cheaper to maintain than their Victorian equivalent, due to better insulation and efficient water and heating systems. With this in mind, premium property developer, Millgate is currently creating Hamilton Place in Checkendon, offering house hunters the benefit of modern conveniences without compromising the beauty of traditional architecture. 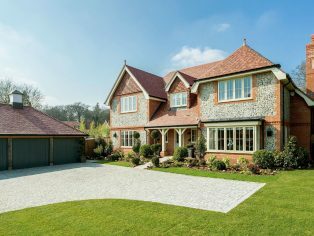 Nestled amidst the picturesque Chiltern Hills, Hamilton Place is a gated development of just 10 individually designed four and five bedroom grand country homes. 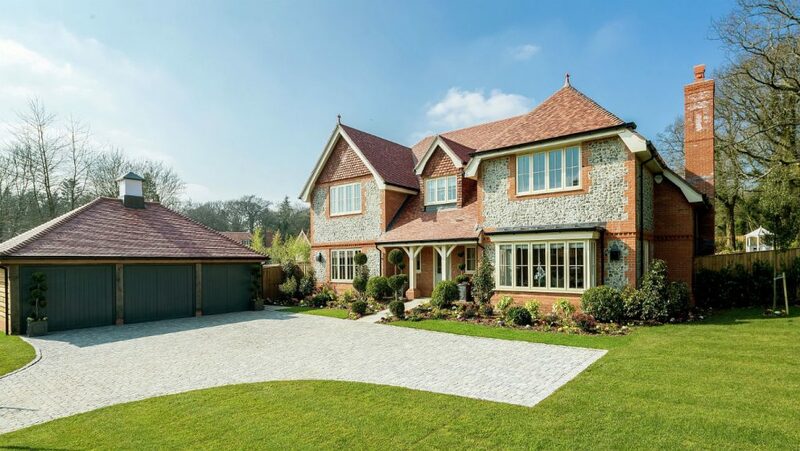 The properties have been inspired by the enduringly popular Arts and Craft movement, which help them blend sympathetically with their picturesque woodland setting. As you would expect from a Millgate home, the highest quality interiors boast every conceivable modern luxury and state of the art specification, ideal for contemporary living. 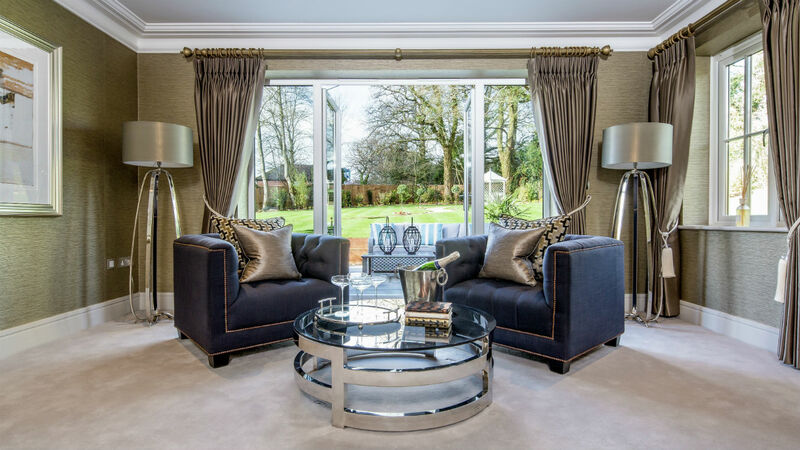 Showcasing the very best in interior and garden design, the five bedroom show home features over 3,350sqft of versatile family accommodation and an impressive balance of informal and formal living space. The house is ideal for entertaining, with an open-plan kitchen/family room and orangery, as well as separate dining and drawing rooms. The master bedroom has its own expansive dressing area, en-suite and terrace. Excellent specification features throughout the show home, with an individually designed kitchen comprising bespoke hand-painted shaker style cabinetry, stone worktops, French farmhouse style sink, American style fridge freezer and porcelain floor tiling and Siemens appliances. Sleek Villeroy & Boch fittings have been used in the bathrooms, with underfloor heating and Victorian style cornicing throughout. The house also has its own secure electronically operated garage and video entry gate system. Externally, substantial terraces lead from the master and guest bedrooms offering beautiful views over of the woodland that surrounds the development. The half-acre private landscaped garden has been landscaped by Chelsea Flower Show Gold Medal winner, Treetop Landscapes. Although situated in peaceful, rural surroundings, Hamilton Place is well positioned for amenities and travel, with the historic town of Henley-on-Thames and vibrant city of Reading being close by. Pangbourne train station is seven miles from Hamilton Place with services into Paddington in under an hour. Hamilton Place is 12 miles from the M4 and 30 miles from Heathrow Airport, making connections easy. The area also boasts a selection of leading private and state primary and secondary schools. The new show home and Hamilton Place Sales & Marketing Suite is open daily from 10am to 4pm. Properties at Hamilton Place start from £2,050,000. To arrange an appointment, please visit www.millgatehomes.co.uk.